If you’ve yet to try this amazing British brand, now is the time to indulge. This beautiful floral blend is made up of Madagascan Ylang Ylang, Moroccan Rose, Palmarosa from India and French Lavender – need we say more?! The sulphate-free formulation is gentle, leaving the skin feeling soft and subtly rose-scented. Plus, the packaging has us all starry-eyed. Local brand Matsimela hits all the right notes with their range of creamy yet lightweight body butters. Filled with the goodness of shea butter and baobab oil, the butters are nourishing, soothing and protecting. 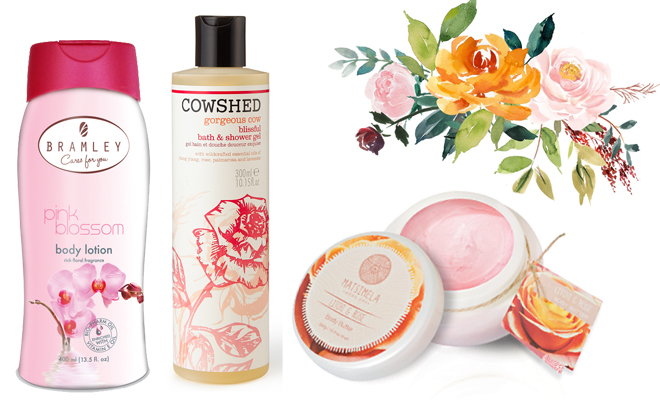 We love the fragrance combos, but Litchi & Rose is definitely our pick of the bunch. Bargain hunters, this one’s for you! The ultimate in affordable body products, Bramley doesn’t skimp on quality. This blossom-scented body lotion absorbs like a dream and is rich in vitamin E oil – just what you need for all day velvety softness. And in case you’re wondering, the fragrance is really lovely too – it’s rich without being overpowering. We love SOiL’s range of organic shea butters. Only a tiny bit is needed, even for larger areas of the body – it spreads beautifully and leaves the skin feeling richly hydrated. We recommend warming a bit of product between your hands before applying it as the heat helps soften the balm. The uplifting citrus scent contains Bergamot and Grapefruit which are known to help tone and detox the body – yes please! We’re long time fans of The Body Shop body butters, so this range hardly needs an introduction. 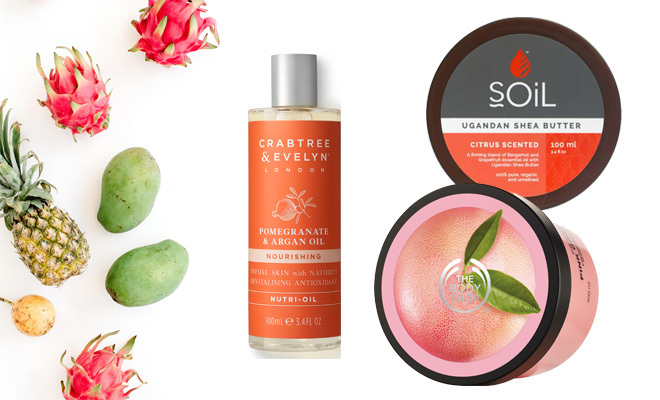 This Pink Grapefruit scent is invigorating and zesty – just what’s needed for spring. It melts into the skin effortlessly and provides hours of moisturisation. Oh how we love a versatile multi-oil! This Moroccan argan oil and grape seed oil blend can be used on the skin and hair, as its formula is lightweight enough to nourish without causing greasiness. The perfect product for warmer nights, its fragrance is a combination of luxurious Mediterranean fruit notes of orange, juicy pomegranate and sweet fig, with hints of ginger and black pepper spice. Spritz-and-smooth onto your body, face, hands, feet, nails and hair for long-lasting restorative properties and a delicious scent! Enriched with natural minerals from the Dead Sea and Aloe Vera extract, this body lotion is both soothing and hydrating. We particularly love to use it after shaving, as its soothing properties are great for that post-shave sensitivity. It has a light scent that’s refreshing but won’t interfere with your perfume. Is there any fresher scent than lemon? This fast-absorbing, revitalising body milk can be applied all over the body. It contains Quince seed extract which soothes and hydrates the skin, while jojoba, sunflower and olive oils replenish and nourish the skin for all-day hydration. We recommend applying this first thing in the morning for an awakening lemony kick. 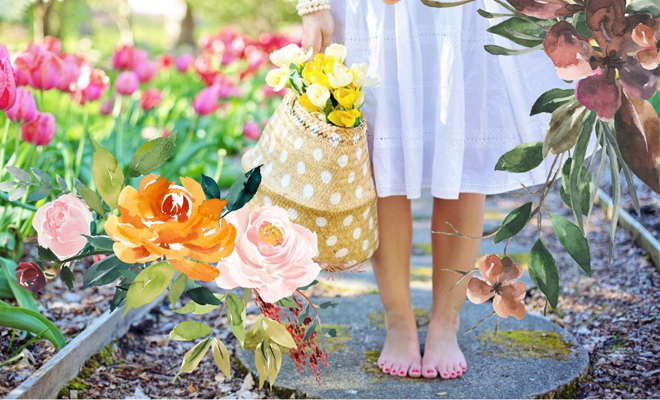 Do you have a favourite body product for spring time? Tell us in the comment section below. Love the scent of anything pomegranate! 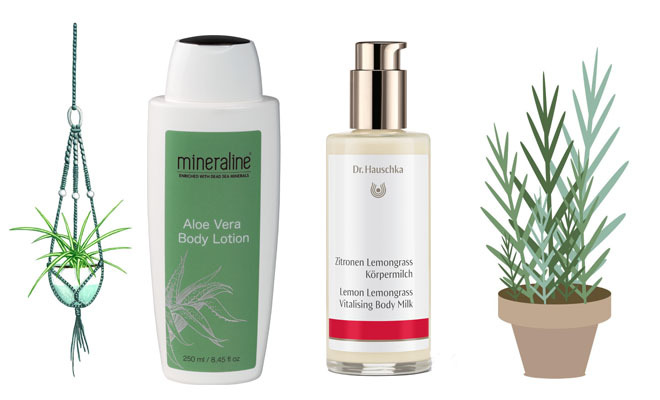 would like to try the Aloe vera body lotion.